The Smile Train is a US-based non-profit that empowers local doctors in 77 of the world’s poorest countries to provide free cleft surgery, which usually takes less than an hour and costs as little as $250. 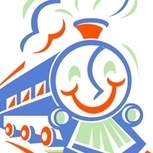 Smile Train has already given new smiles to more than 500,000 children. Many of these children are shunned by their social groups, and sometimes both mother and baby are abandoned out of shame—all because of one of the most common and curable birth defects. In developing countries most clefts go unrepaired because families cannot afford the surgery. Please consider a donation to Smile Train. Each surgery costs about $250 and can dramatically change a child’s life forever. The Smile Train is a 501(c)(3) nonprofit recognized by the IRS, and all donations to The Smile Train are tax-deductible in accordance with IRS regulations. Smile Pinki (smilepinki.com) is a short documentary about a five year old girl, Pinki Kumari Sonkar, born in rural India very poor and with a cleft lip. The film follows her journey as she and her father make their way from their remote village to the city to have her lip repaired. The film won the 2009 Oscar for Best Documentary, Short Subject. Following the film’s release, along with her doctor and her father, Pinki traveled to Los Angeles for the Academy Awards. Upon her return to India Pinki was offered a scholarship and a new water pump was provided for her village. Great film, highly recommended! Trailer below.